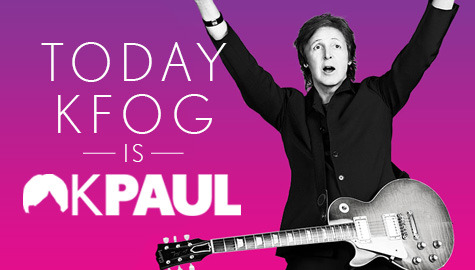 Oh joy of joys, KFOG is celebrating Paul McCartney's show tonight by calling themselves KPAUL and playing all Beatles, Wings & Paul McCartney music ALL. DAY. LONG. My favorite today so far was Say Say Say with Michael Jackson. Happy Morning Commute achieved! Super classy, KFOG! I haven't even had to listen to 103.7's HD2 station, Sunny Radio, which is--of course--adult contemporary soft hits (AKA Soft AC. Yikes.) today. So thank you for that.